Firkin Finally | Tioga-Sequoia Brewery Co.
Tioga Sequoia has some very exciting news! We just picked up our very first order of firkins. 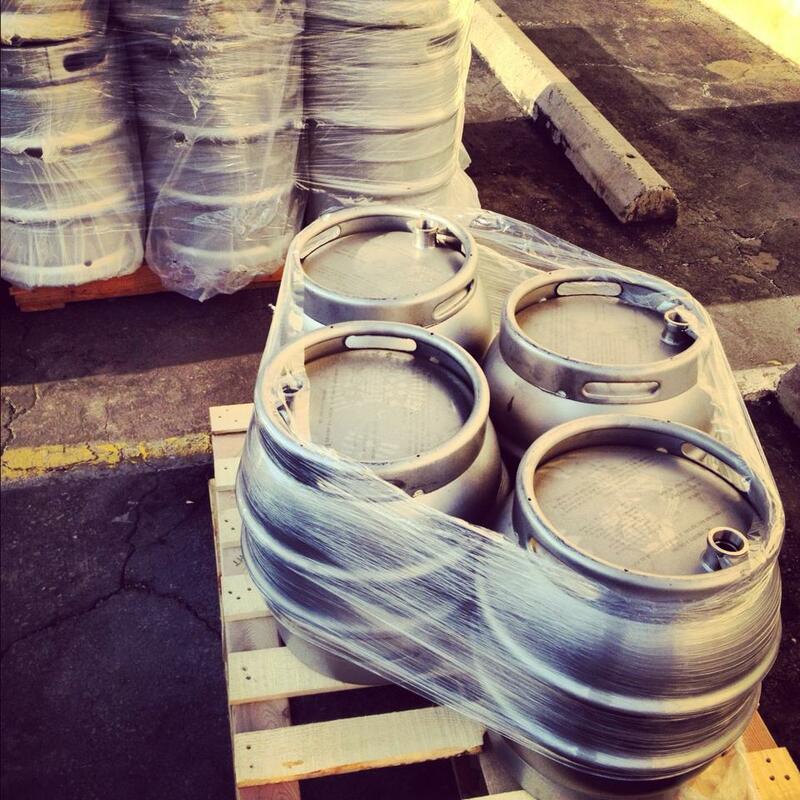 With these new firkins, we can begin to create unique cask conditioned beers. The conventional way to serve draft beer involves force carbonating with carbon dioxide, storing in pressurized kegs, and serving through gas-powered taps. On the contrary, cask conditioned beer served out of firkins, are unfiltered, and naturally carbonated, or conditioned all inside the cask. This is accomplished when the yeast converts sugar into alcohol creating carbon dioxide that is then confined inside the cask, giving the beer that perfect natural mouthfeel. Stay on the look out for when these bad boys hit the craft beer scene!